Using our methods we can deduce that for 27th February 2017, the following quakeweather and the following regions appear to be vulnerable to siesmic activity. Our experience shows that the time event tolerance can be +-1 day, and therefore it is worth keeping the list for 2 days as an event in the list could sometimes materialise the next day and sometimes the late hours of the previous day. 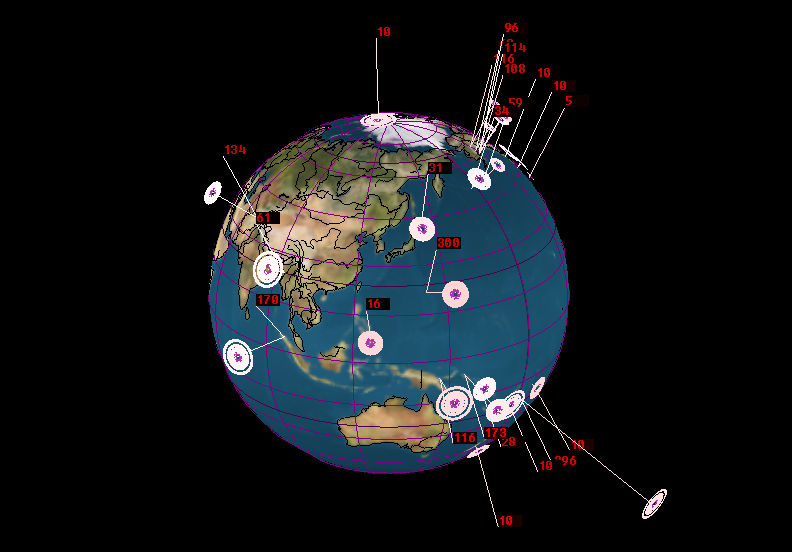 New Moon Day yesterday and today we have action, February 27th is a day where we expect an increase of earthquake activity compared to 26th February. Notable Geocentric Aspects are Mars opposite Jupiter, Mercury opposite Node ans also semisquare Pluto. Heliocentrically, we have EARTH sesquiquadrate Uranus, Venus trine Uranus.